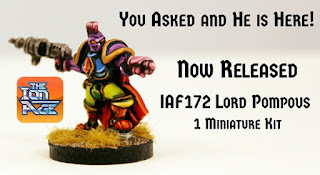 Back in September last year it was my pleasure to present to all the IonFans out there the tale of a new hero in an article by our good friend Aris Kolehmainen. 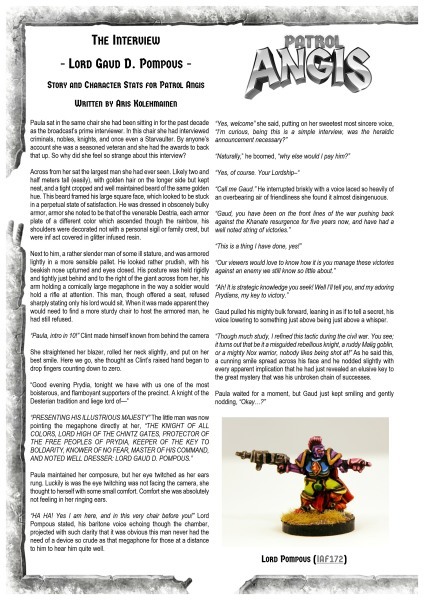 After this article was put online it was downloads some three thousand times and momentum grew for its titular character to be made into a miniature in his own right. Gathering support resulted in an agreement from us and now Baron Pompous is released in all his splendour! Our only release for this month is now out! Go HERE or read on for more. The Desteria Knights are the super heavy infantry of the Prydian Army and of the Marcher Barons and the mercenary Condots. 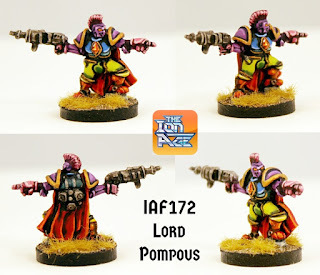 Used to crack the hardest targets they carry the fire power of several Retained Knights and can withstand punishment which would destroy any lesser soldier. 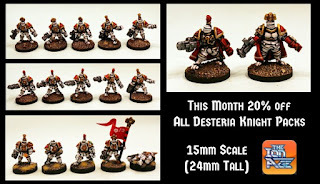 We have a great value platoon pack of Desteria Knights which contains an additional free miniature unique to that code. 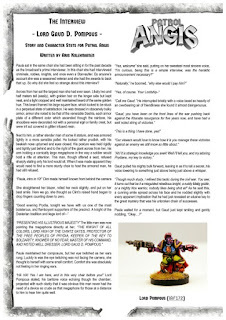 We also have two trooper packs and a command pack of these mighty soldiers which can all be seen on our website HERE. 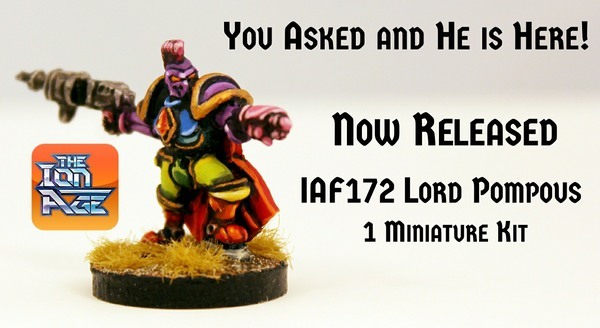 We hope you like this new miniature and if you would like to make suggestions for future releases or characters please do tell us on info@theionage.com. There will be further new releases next month and our month long offer in January is detailed HERE and is a discount on all Desteria Knight packs.